County records show this building to have been built in 1938, but there is evidence that this was the site of Clifford Kitchen’s tavern in 1935. On May 29, 1935, Clifford Kitchen was fined $25 for keeping and maintaining a gambling device with money, a slot machine.” He was also fined $92 for keeping the place open after 2 am. Again that September, Kitchen’s place was raided and he was fined $10 for having a gambling device. In 1938 the site may have been called the Westwood Hills Tavern, although that address is given as 7831 in the 1938 directory. 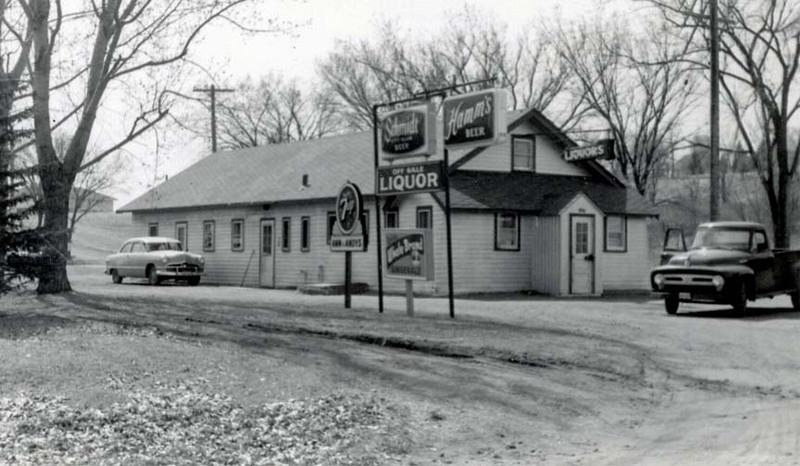 An and Andy’s Tavern opened in about 1939. 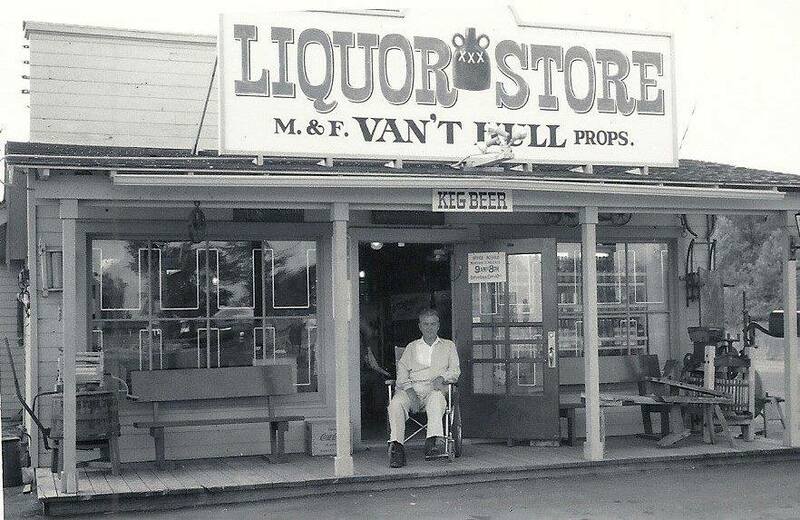 In 1940 Andy Johnson obtained an off-sale liquor license, which he held until at least 1961. 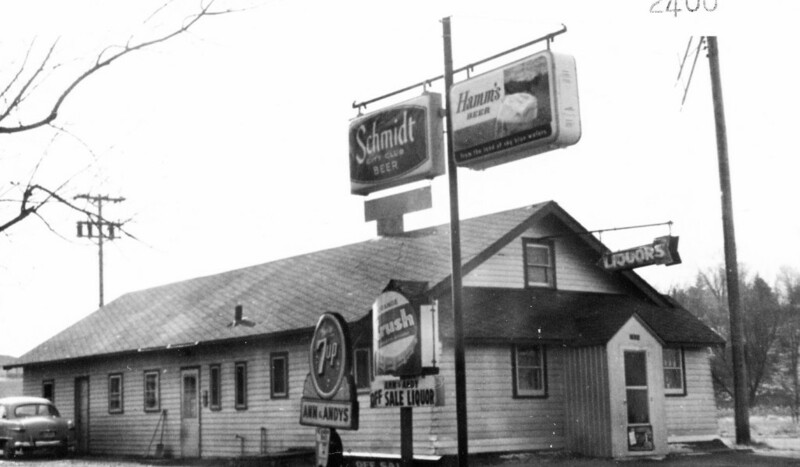 In the 1950s, Andy Johnson also owned 7831 Wayzata Blvd., an old stucco rental house built in 1928. He also owned 7825 Wayzata Blvd., another rental house built in 1937. 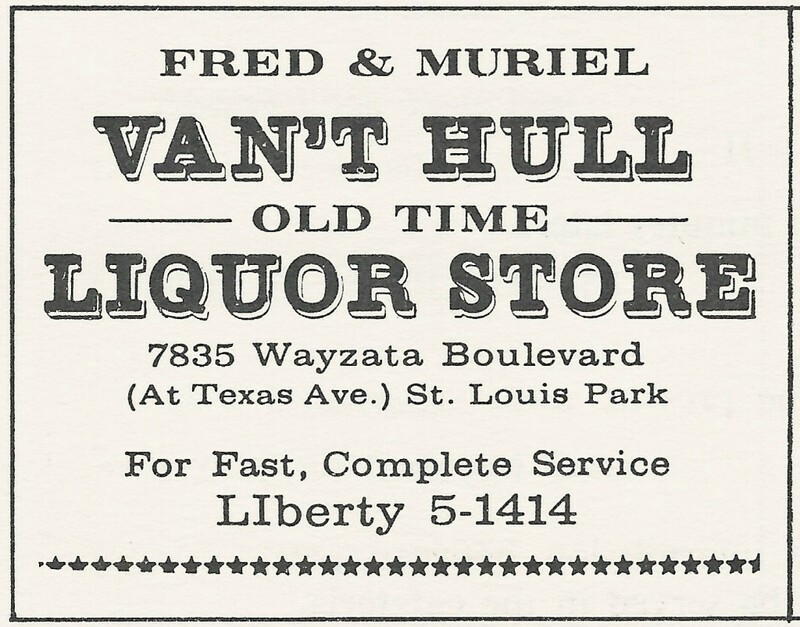 From 1962 to 1986, the building was the Van’t Hull (Old Time) Liquor Store, run by Fred and Muriel Van’t Hall. The property was also known as 7835 Wayzata. Nels Fred Van’t Hull, a polio victim, was born on August 21, 1920. 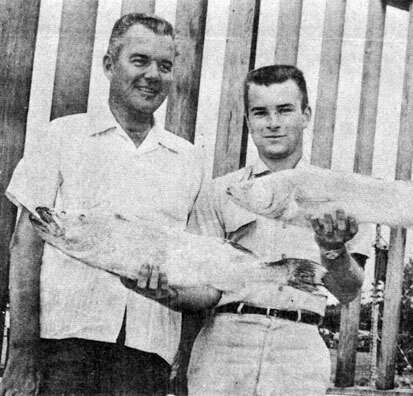 He played football for the U of M and the Green Bay Packers and served in the Navy during World War II. He was the sports director for KEYD radio and a sports commentator on KSTP-TV. He died on April 10, 1975. Their other children were son Jon and daughter Chris. The building is still there, painted blue. Recently it has been an insurance building and now houses a maid service company. The current owner says he’s just the third owner. He says that the building has big timbers in the basement, and that old timers have told him that they used to sit out on benches in the front and watch the cars go by. This unprepossessing building is by far the most historic on the St. Louis Park side of the 394 strip!